Light measurement devices are used to illuminate and analyse samples and are required whenever light levels need to be accurately monitored. 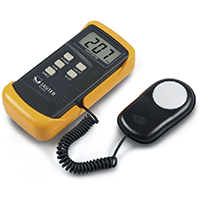 They are versatile products used to convert light levels into a measurable output. 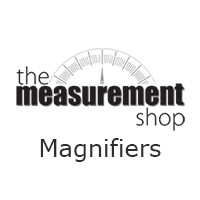 The Measurement Shop offer a wide variety of light measurement equipment including magnifiers, refractometers and professional light meters for highly-accurate light measurement and in-depth analysis. With a selection of top European and Canadian manufacturers to choose from, we are confident that we have some of the best light measurement products available to suit your requirements. 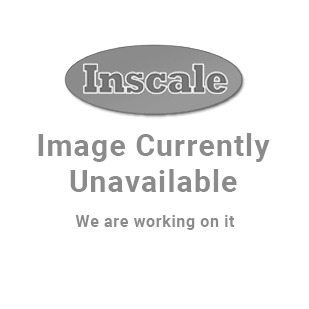 If you require any help choosing a product to suit your application please contact us. The Reed R7050 photo tachometer uses non-contact RPM and revolution count measurements with 5 digit backlit LCD display. 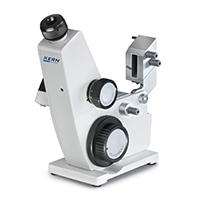 ORA-B analogue brix refractometers are often used in restaurants and catering businesses for determining the sugar content in food using a Brix scale.